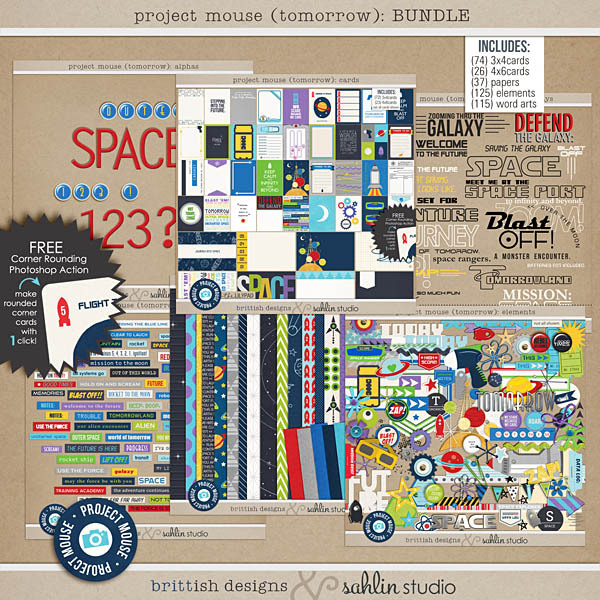 For this installment, we bring you Project Mouse (Tomorrow) Edition. 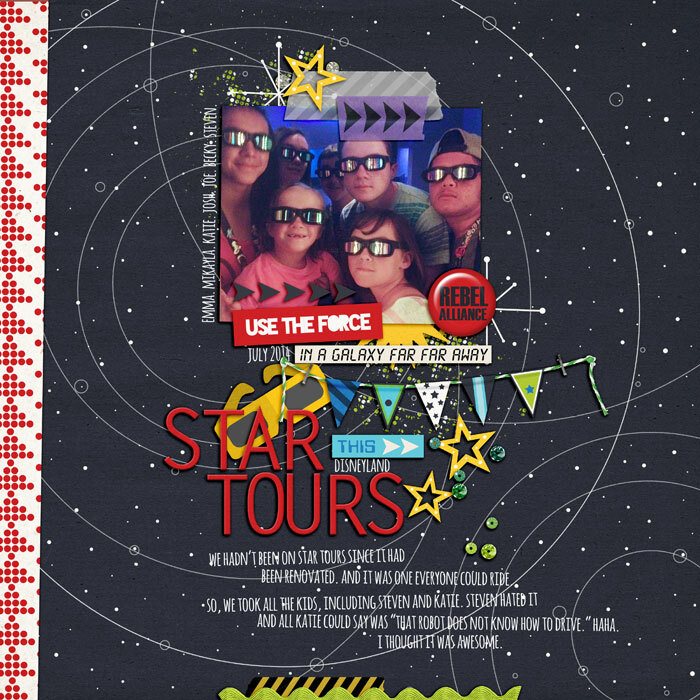 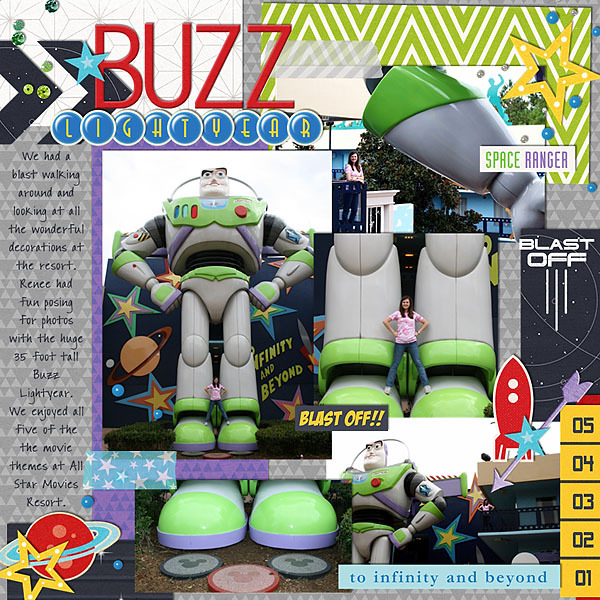 You can scrap all your pictures defending the galaxy, zooming through space, meeting a not-so-scary monster, using the Force, zapping aliens, and all things futuristic and fun!! 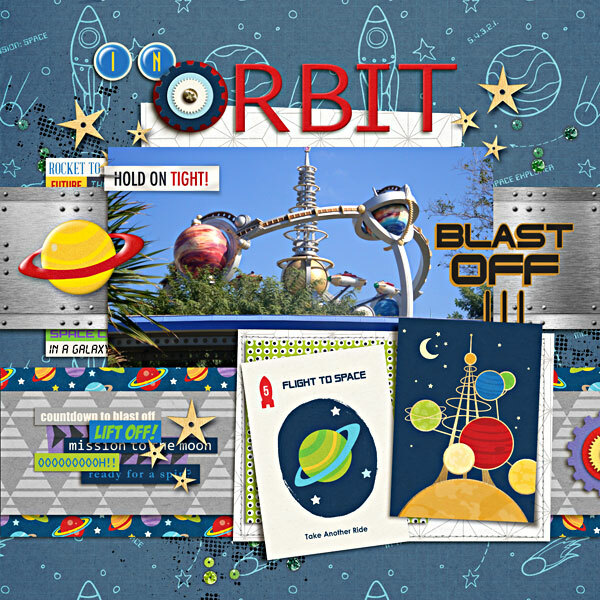 Perfect for Disney vacations, science projects, a trip to the planetarium , Star Wars fans and so much more! 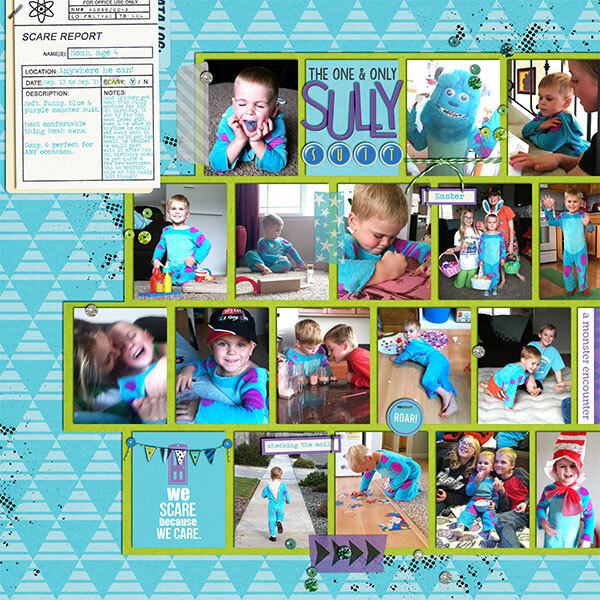 With two full alphas included- one a dimensional set of blue alpha brads, and the other a large set of bold red letters, you can mix and match to create page titles that stand out in any gallery!